Every life is both ordinary and extraordinary, but Logan Mountstuart's - lived from the beginning to the end of the twentieth century - contains more than its fair share of both. As a writer who finds inspiration with Hemingway in Paris and Virginia Woolf in London, as a spy recruited by Ian Fleming and betrayed in the war and as an art-dealer in '60s New York, Logan mixes with the movers and shakers of his times. But as a son, friend, lover and husband, he makes the same mistakes we all do in our search for happiness. Here, then, is the story of a life lived to the full - and a journey deep into a very human heart. 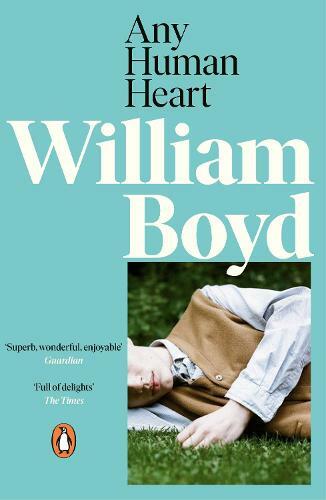 Throughout a glittering career, William Boyd has covered everything from colonial farce to primate research in a series of beautifully-rendered novels. His 1991 debut A Good Man in Africa immediately bagged the Whitbread First Novel Award, a win that has heralded contemporary classics such as the Costa-winning Restless and the literary tour de force that is Any Human Heart. Life involves some good luck and bad luck. Logan Mountstuart inspired by his favourite author, Chekhov, uses his technique of little action, instead emphasizing moments and developing internal drama. Perhaps my favourite novel of all time!